After a very extended stay abroad one of the first things i wanted to do is take the coupe for a spin. But my fuel pump seems to be seized / broken. 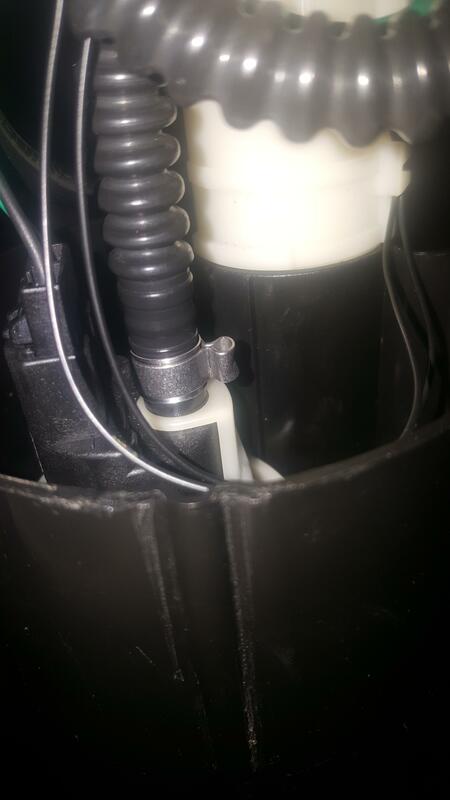 I got the swirl pot assembly out but how do you get the fuel pump return line from the bottom?? Tried the usual let pry it of with screwdriver but i am afraid of breaking it. So is there a trick.. There is no need. Just keep pulling on the white ring and the assembly will come out.. Car is a 20vt limited edition. Final update. 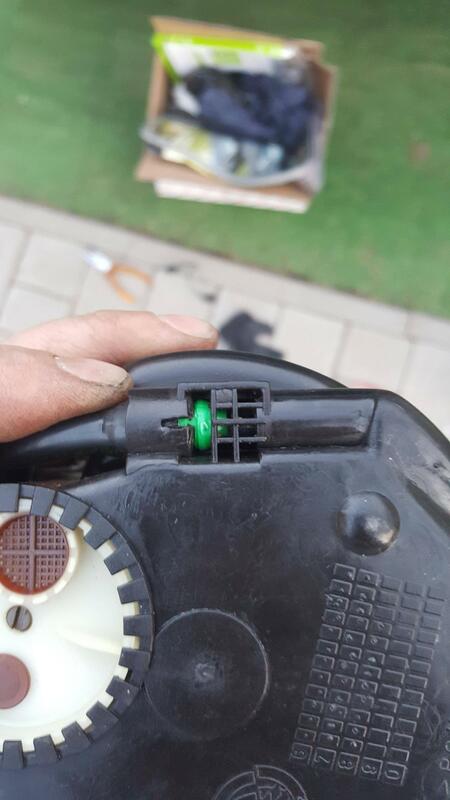 Since i havent found a how to get that damm thing back in with that off center inspection hole that is actually to small. The pump clip is an oetiker 12.3 and after crimping it will just like you have never been there. Second if you look at the seal design it first needs to go in the ring of the tank. And then the pump otherwise you will fold it. So you need to slide the seal down from the top ring of the pump and fiddle with the pump in one hand holding a flash light in your mouth until you get the seal in the tank ring and then push the pump body in. P.s. smoke your victory sigaret away from the car. Otherwise your wife might freak out. P.s.s it easier to drop the tank. I think there are two differant styles of fuel pump (at least) for the 20VT family. I know this because I ordered the wrong one first, and had to buy the right one after ! Plus a bag of Oetiker clips and crimper, just to use one clip. You can crimp the clips with pliers or pincers as well, but i thought i'd buy the proper tool. Agree with the contorted way that you need to use to get the pump pot back into the top of the tank - very fiddly !. Last edited by JonH; 15/04/2019 23:55.